We’ve spent a lot of time talking about how to avoid detection, but what if you need to be seen? What if the rescue helicopters are just over the ridge and the sun has gone down so you can’t use your signaling mirror? What happens then? Luckily there are several safe and effective forms of signaling devices available to handle exactly that scenario. This nifty little pack of goodies has everything you’ll need to be spotted day or night. 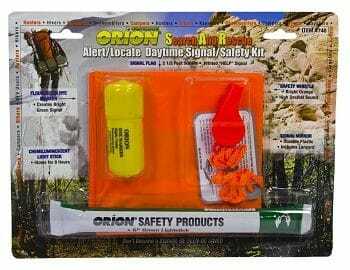 Included in the kit are: 1 red aerial flare, 1 dense orange smoke signal and 1 handheld red signal flare/fire starter. The aerial flare flies up to 500 feet and burns for 7seconds at 16000 candlepower. The orange smoke signal produces a dense but safe smoke cloud to allow rescuers who have seen your flare hone in on your exact location. If the rescue party gets close and you need to really get their attention, crack open the handheld signal flare for 5 minutes of bright red illumination. You can also utilize the handheld flare to ignite a signal fire if it comes down to that. This little kit gives you everything you need to bring help to the rescue. 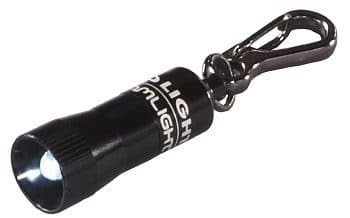 If you need to do some long distance signaling and you’re all out of flares because you blasted some zombies with them a few days ago, you might want to whip out The Greatland Rescue Light. This powerful little handheld laser allows you to signal for help up to 20 miles away and provides 40 hours of continuous runtime on 1 lithium battery. That’s a helluva lot of signaling you can do without adding hardly any weight to your emergency kit. The Rescue Laser Light also comes with an aiming loop so you can zero in on your intended party and get your message across.